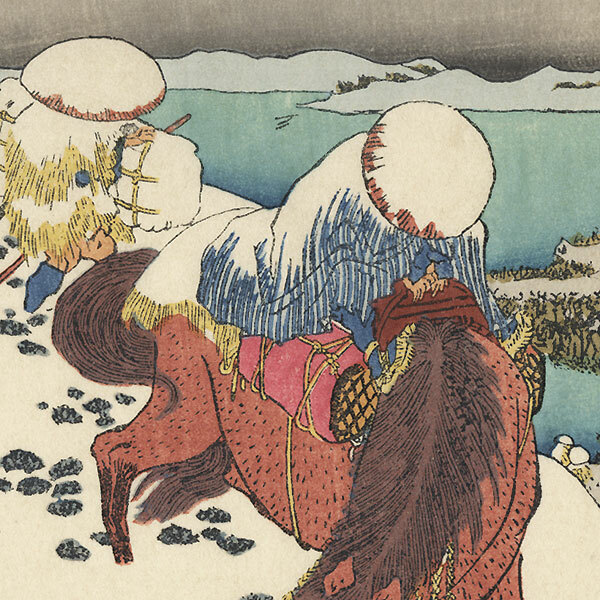 Comments - Terrific Hokusai view of travelers struggling through a heavy snow in the Echigo District. 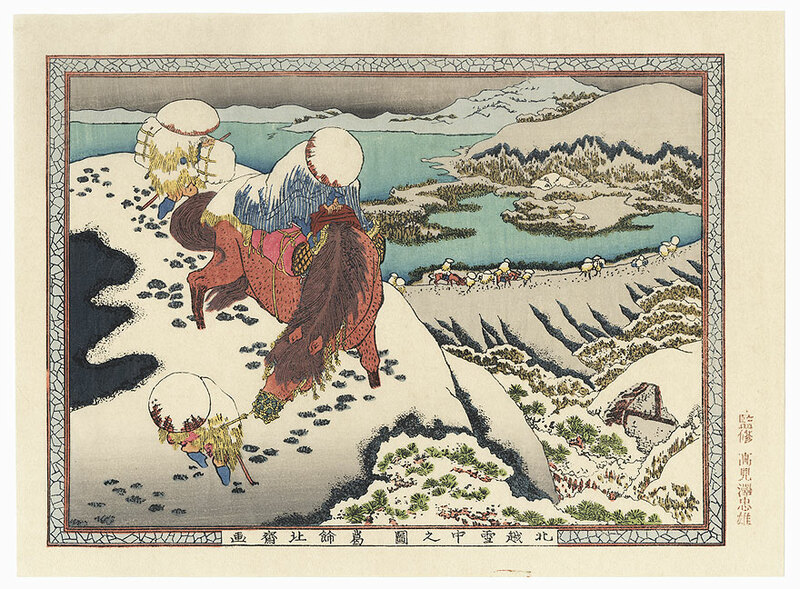 A groom leads the horse by a rope along a mountain pathway his head down and snow covering the back of his straw raincoat. Other travelers can be seen making their way through the valley below. 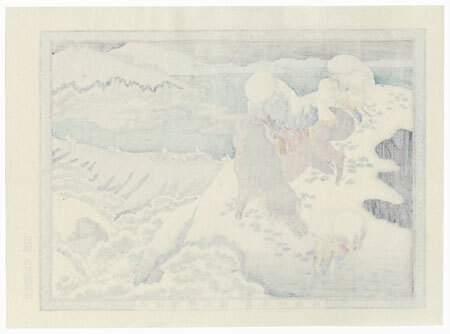 A beautifully detailed scene of the expansive winter landscape.